legal issues affecting higher education and schools in these and other compliance matters, including Department of Education's Office of Civil Rights ("OCR") investigations. Rob's ADA/FHA/504 work is informed by his personal experience with children and adults with disabilities and practical experience managing a major church building project. Over his 25 years of handling these legal matters, Rob has dealt with innumerable types of accommodations and accessibility questions and complaints. This experience, combined with his regular interactions with leading architects whom federal regulators rely on for advice on accessible design, contributes to his understanding of how accessible design and construction, accommodations and civil rights issues intersect and create compliance challenges, especially in the retail, real estate, and primary and post-secondary education industries. Rob's experience counseling management includes a wide range of employment and traditional labor law matters. His litigation and negotiation skills are valued in matters that expose employers to high-stakes litigation and high-profile publicity. Having served earlier in his career as acting managing partner of a boutique law firm and overseeing a merger there, Rob understands the challenges that general counsel face with discharge issues and allegations of harassment and discrimination. This practical background contributes to his ability to reduce complex issues into compelling stories for training, negotiations, briefs and trial. Rob draws on his early career experience as a law clerk in the University of Virginia Office of Legal Counsel and acting as outside general counsel to smaller colleges to advise educational institutions not only on ADA and labor and employment issues, but also civil rights matters such as Title VI and Title IX. He also handles a wide range of student affairs, academic conduct, due process and First Amendment matters. Outside of his practice, Rob's ability to seek input from multiple interests and address complex problems is demonstrated by his work as chair of the Board for Helping Children Worldwide ("HCW"), a non-profit with operations in Bo, Sierra Leone. In this capacity, Rob partners with other lawyers, diplomats and doctors, on and off the Board, to help HCW offer residential, child support and foster care programs for victims of forced child labor and operate a hospital and community health programs in the African nation. Rob regularly advises on ADA, FHA and Section 504 compliance issues involving major new construction and renovations, new technologies and equipment. This work has led him over the past 25 years to survey, on his own and with experts, barriers in hundreds of bathrooms, stores, shopping centers, parking lots, apartment buildings, campuses and fraternity/sorority houses. He has assisted both owners and tenants on public access concerns during due diligence in acquisitions and with negotiation of ADA clauses in leases and various contracts. 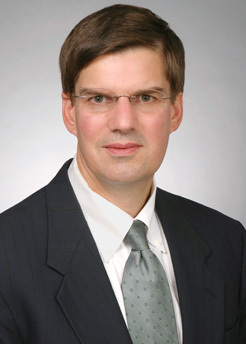 His experience includes more than 10 years advising and defending a Fortune 50 retail company nationwide on accessibility issues in its operations, including handling "drive-by lawsuits," counseling on compliance in construction and merchandising, and responding to claims by national advocacy groups and federal agencies. Counseled and defended numerous entities on requests from customers, students and tenants related to service and assistance animals or denial of service, including cases involving a ferret that was stealing from a roommate and what to do when a miniature horse enters a bar. Counseled on and defended numerous customer, client, patient, student, and other accommodation requests, including the customer who wanted a store to modify its practices and provide home delivery of beer. Successfully petitioned the U.S. Department of Justice and Access Board for the first and only suspension of ADA Standards in 1994 - detectable warnings at hazardous vehicular areas - on behalf of an association of big box retailers. Defended many Department of Justice ADA Title III investigations, including nationwide pattern and practice claims against a chain of gas stations. Assisted several major universities reviewing the accessibility of on-line courses. Rob's experience with employment and labor law is both legal and practical. He has not only counseled hundreds of employers on best practices in firing employees, but he has also personally handled discharges for clients. He can walk a client through interconnected issues involving the ADA, Family and Medical Leave Act ("FMLA") and long-term disability policies; field the emergency call involving a workplace violence threat; and calmly handle bizarre questions and situations that arise in the workplace. He regularly defends wrongful discharge, discrimination and other lawsuits, but understands and can effectively use mediation and other approaches to resolve challenging disputes. In fact, one big box retailer with operations in Florida and Georgia has sought Rob's counsel on a range of employment and labor issues for more than 20 years and he has handled dozens of lawsuits in federal and state court on the company's behalf. Obtained summary judgment in an ADA case by a home improvement store employee who claimed he needed a transfer to a different location because he was allergic to the state of Maryland. Successfully defended claims of sexual harassment against a company president by proving that the employee had essentially two personalities - one that was sexually aggressive and one that was offended. Successfully defended claims of religious discrimination against a retailer, whose owners were Jewish, from a long-time salesperson who said he could no longer work Saturdays because he had become Orthodox. Successfully resolved in mediation threatened claims of age discrimination against a boutique law firm by the first equity partner it had ever terminated. Obtained summary judgment and successfully defended on appeal claims of wrongful discharge by an employee who was fired for borrowing money from a subordinate and lying about it; the employee claimed the real reason for his termination was his refusal to inflate a performance review of his supervisor's alleged girlfriend. Rob has advised and defended higher education and private K-12 schools on civil rights and due process issues in admissions, suspensions and terminations of students and employees, and a range of other issues. This includes matters involving students with physical and psychological disabilities and programs to obtain and maintain diversity. His experience includes more than 20 years representing national and local apprenticeship programs nationwide on their classroom and on-the-job operations and serving as outside general counsel to community colleges. Rob also conducts in-house training programs for governing boards, senior administrators, faculty and other groups on a wide range of compliance issues, including employment, ADA/504 and sexual harassment. Successfully defended claims of race, gender and national origin discrimination by an African-American female department chair against her black, African-born male dean. Assisted various schools in navigating ADA/FMLA/Workers' Compensation/long-term disability situations, including a tenured professor whose illness was triggered by claims of sexual harassment by students and the resulting investigation. Advised a major private university on civil rights compliance issues in supplier diversity issues.